Unsealed bank records appear to reinforce the claim that Democrat Hillary Clinton’s campaign bought and paid for the sensational “piss-gate” dossier that used anonymous sources to smear President Trump by falsely linking him to Russia. The dossier is the salacious, 35-page report commissioned by Democrat-aligned opposition research firm Fusion GPS. The statements in the partisan hit job were compiled by former British spy Christopher Steele and published by BuzzFeed. One claim was that Donald Trump hired prostitutes to urinate on a bed. The dossier was just one of many particularly outrageous dirty tricks Clinton’s campaign deployed to undercut her opponent’s campaign during the 2016 election cycle. Clinton also personally authorized the illicit efforts of socialist felon Bob Creamer and organizer Scott Foval who fomented violence at Trump campaign rallies, as James O’Keefe’s Project Veritas group revealed in undercover videos. President Trump and his defenders have repeatedly suggested Democrats, Russia, or the FBI – or all three – may have helped fund the infamous document dump. What’s new here are bank records from two Democrat-aligned law firms listing 112 transactions involving Fusion GPS. Clinton campaign and DNC lawyer Marc Elias reportedly hired Fusion GPS in April 2016 to conduct opposition research against Trump. 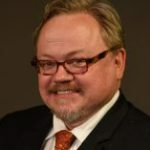 The documents were made public after Washington, D.C.-based federal Judge Richard Leon, who is presiding over a lawsuit related to Fusion’s records, ordered them unsealed. Fusion fought the unsealing request. Perkins Coie, the law firm that represented the Clinton campaign and DNC, paid Fusion a total of $1,024,408 between May 24, 2016 and Dec. 28, 2016, the records show. The largest payment was made just before the election. Perkins Coie made a $365,275 payment to Fusion GPS on Oct. 28, 2016, according to the records. The records show that Fusion was also paid $523,651 by the law firm BakerHostetler between March 7, 2016 and Oct. 31, 2016. Fusion worked for BakerHostetler to investigate Bill Browder, a London-based banker who helped push through the Magnitsky Act, a sanctions law vehemently opposed by the Kremlin. BakerHostetler also acted for Prevezon Holdings and its owner, Russian businessman Denis Katsyv, who tried to blunt the effect of the sanctions. 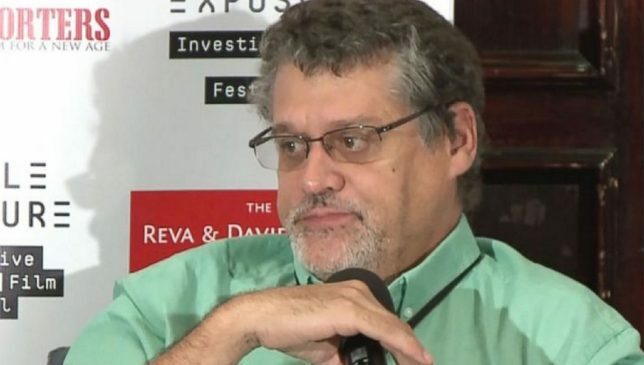 Former Wall Street Journal reporter and Fusion GPS co-founder Glenn Simpson worked on the Browder project alongside Russian attorney Natalia Veselnitskaya, who famously attended a meeting at Trump Tower in Manhattan with top Trump campaign staffers on June 9, 2016. Veselnitskaya brought Simpson’s research with her to the meeting and shared it with Russia’s prosecutor general, Yuri Chaika, according to the Daily Caller. Testifying before the House Intelligence Committee this week, Simpson said he was unaware that Veselnitskaya gave information about Browder information to Chaika or to Donald Trump Jr., the campaign’s lead person at the storied meeting. Simpson also testified that he only learned Veselnitskaya had attended the meeting when media outlets reported it. The House Intelligence Committee is now seeking records it says are “related to Fusion’s payments to journalists who have reported on Russia issues relevant to its investigation.” The reporters’ names were not provided. Meanwhile, the mainstream media continues to promote the discredited Trump-Russia dossier in order to kneecap President Trump’s ambitious reform agenda. Like the disgraced Dan Rather continuing to insist his fake Texas National Guard documents discrediting George W. Bush were real, scribes like Newsweek’s Jason Le Miere are still pushing the dossier and lying about it. The dossier, which alleged that Russia sought to interfere in the 2016 election and had extensive contacts with Trump campaign officials, has been taken seriously by the FBI and special counsel Robert Mueller. While much [sic] of its claims remain unverified, including an allegation that Trump had Russian prostitutes urinate on a Moscow hotel room bed once slept on by Barack and Michelle Obama, its central thesis has been corroborated. But has “its central thesis” been corroborated? Its central thesis was not that Russia sought to interfere in the 2016 election. Everybody already knows that. Russia is always up to no good, as intelligence experts have been saying ad nauseam, and its illicit program to promote its interests doesn’t go dormant during U.S. election cycles. The central thesis of the dossier is, as BuzzFeed reported at the time, that Donald Trump has “deep ties to Russia.” More specifically, the media outlet focused on the “explosive” but “unverified” assertion that “the Russian government has been ‘cultivating, supporting and assisting’” him for years, gaining “compromising information about him” in the process. In other words, the dossier states, or at least implies, the Russians have blackmail-worthy material on Trump and that he is a puppet of Russian President Vladimir Putin, forced to do Putin’s bidding or face the release of whatever kompromat the Russians have on him. The dossier, which BuzzFeed admitted is littered with errors, claims the Russians and the Trump campaign worked closely together, yet provides only unsourced evidence and rumors. The dossier is dominated by statements identified as coming from unnamed sources in and around the Trump team, the Kremlin, and the business community. Seemingly undermining a key contention raised in the case made against Trump, a dossier document claims Russians tried, but failed, to bribe the man who later became the 45th U.S. president. But here’s where they have been particularly clever: They didn’t give it to the press, they sent it to the FBI and then they briefed the press, and then the press was able to claim that this was intelligence that the FBI possessed, which gave it some air of credibility. To call this stratagem merely “clever,” is the grossest of understatements. From a tactical perspective, it is truly brilliant. But even truly brilliant tactics tend to fail when they are based on lies.